Every 100 ml contains: Bencetimide Hydrochloride 0,0165 grams (equivalent to 0,015 grams of Bencetimide base); auxiliary agents and vehicle q.s. Symptomatic co-treatment of bacterial or viral diarrheas in dogs. 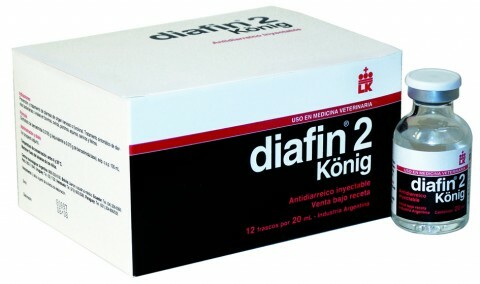 In these cases it is compatible with a simultaneous administration of antibiotics. Dogs: Apply 1 ml for every 10 Kg by SC route. The doses should be adjusted in accordance with the seriousness of the condition. If necessary, it may be repeated after 48 hours have elapsed.